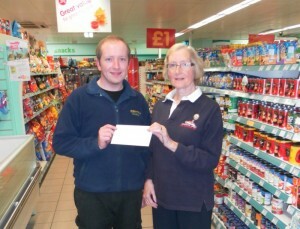 Donaghadee lifeboat website www.donaghadeelifeboat.co.uk continues to go from strength to strength with the support of local supermarket Centra. The website which was set up to promote the Centenary last year by Ardnet Online Solutions has continued to be a great source of information on all aspects of the lifeboat. During the last year the site has had over six thousand five hundred and fifty visitors. Without the financial support of local companies like Gwen’s the lifeboat would struggle to maintain the high standards it sets itself in training and equipping its volunteer crews to save lives at sea.